At Amara Wellness Centre Dr Zara Celik provides the acclaimed Endermolift treatment – a non-surgical facelift promoting youthful & healthy skin. 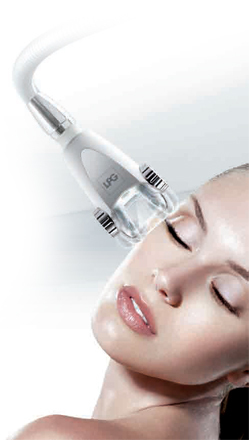 As a leading Endermologie specialist and one of only a few in Australia medically qualified and trained to operate the Cellu M6 Endermolab Médical, Dr Zara Celik provides the innovative and much-acclaimed Endermolift treatment – a natural, non-surgical facelift promoting youthful and healthy skin. This innovative anti-aging treatment reactivates the production of collagen and elastin in the skin, restoring skin vitality, reducing fine lines and wrinkles, and improving overall firmness, texture and complexion. Developed by France’s LPG Systems, the Cellu M6 Endermolab Médical rejuvenates the skin through precisely calibrated and consistent massage treatments. The Endermolab consists of a motorised treatment head with two specially designed flaps which are gently pressed against the skin, stimulating increased blood circulation and enhancing fibroblast activity. The Endermolab also employs gentle, controlled suction to lift and roll across the skin’s surface, reoxygenating the tissues, helping to improve lymphatic drainage and eliminate toxins from the body. Endermolift treatments are performed by Dr Celik or other Endermologie-qualified and trained practitioners. During your first Endermolift treatment, Dr Celik will discuss with you your skin treatment goals and focus areas. Before proceeding with treatment she will also undertake an assessment to ensure that you have no medical conditions that preclude you from benefiting from the treatment. Endermolift treatment is pain-free, and you will feel relaxed and rejuvenated after your session. You should drink plenty of fluids afterwards to ensure you are rehydrated, to help flush the toxins from your tissues, and to help the Endermolift to take optimal effect. Endermolift sessions can be booked individually or as part of a discounted package of 8 treatments, available to use over a 12-month period.For best results, Endermolift sessions are recommended over a continuous period of time. Depending on your individual goals and your own body’s rate of uptake, best results are usually seen after 8 to 15 sessions – though most people will notice changes after the first few treatments. For more information about Facials, Endermolift, or LED Light Therapy, or to book an Endermolift treatment, call Amara Wellness Clinic on (03) 9388 2828 or click the button below to book online.